This week, Sunday 3 January, El Salvador had its landmark presidential elections. Held against a backdrop of public disillusionment following several high-level corruption scandals, the elections came at a time of uncertainty for the country. But they also offered opportunities for NIMD to influence future policies, improve trust and help the country’s electorate make informed choices. In El Salvador, like in many countries, much of the electoral campaign took place on social media. Of course, as well as being a useful tool for spreading information, social media has also been used to broadcast fake news. Since the Supreme Electoral Tribunal does not have the capacity to regulate the debate on social media, NIMD undertook a study to understand how the electoral campaign was rolled out across these platforms. Feeding back the results to the Tribunal will give it the information it needs to oversee future electoral campaigns. In addition, NIMD teamed up with FACTUM magazine to come up with a list of false “newspapers” that emerged during the electoral period. This helped to raise awareness among the public, so that they can better recognize what news is real. This intitiative will continue beyond the election, continuing to help citizens stay informed about what happens in their country and around the world. If things are going to change, the public and policy makers need to be aware and informed. That’s why NIMD launched a number of social media campaigns in the run up to the elections. The first is called “Más mujeres, mejor democracia” (or “More women, better democracy”), and aims to highlight the importance of women’s participation in decision-making roles. Through the campaign, NIMD worked to break down the stereotypes and prejudices faced by women in politics. This included advocating for equal representation of men and women in the next cabinet. Our second campaign, “Por una campaña limpia” (“For a clean electoral campaign”), focused on helping citizens to assess information and articles surrounding the campaign. The campaign aims to help voters to stay informed, and promotes a clean and democratic electoral campaign. 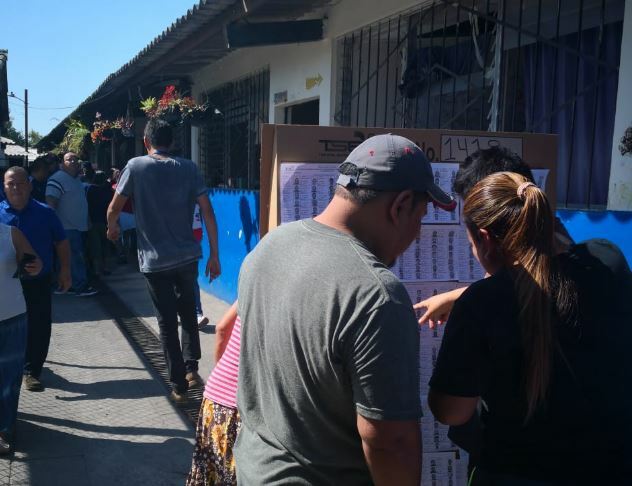 The last campaign “Confía en el proceso electoral 2019” (“Trust the 2019 electoral process”) also targets voters specifically. Through short videos, the campaign informed citizens on the processes undertaken by the Supreme Electoral Tribunal to make sure the 2019 elections are credible and fair. In this way, it hoped to build trust among voters and tackle disengagement. 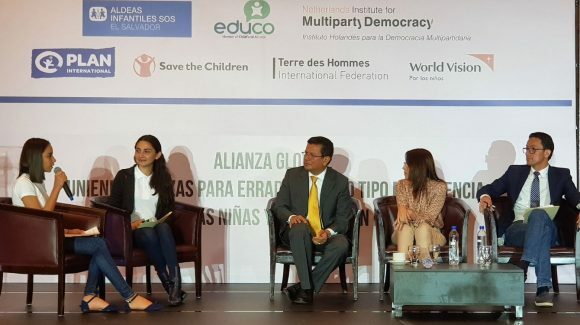 As part of our work to strengthen the inclusion of marginalized groups in El Salvador, we helped civil society organizations to connect with the presidential candidates. By making their voices and needs heard at a crucial time, these groups hope to have an influence on the actions and policies of the future government. As part of this, NIMD supported the “Pact to guarantee the rights of Salvadorean Women”, alongside the Supreme Electoral Tribunal, the Parliamentary Women’s group and the Salvadorean Institute for the Advancement of Women. This comprehensive agreement was signed by El Salvador’s political parties, presidential candidates and vice-presidential candidates. By signing the pact, these groups committed to gender inclusive policy-making if they reached power after the elections. In addition, they promised to ensure no violence against women – whether that be symbolic, psychological, verbal, physical, sexual or financial – during the electoral process. And they committed to promoting the equal representation of women and men in the next cabinet. NIMD El Salvador invited all the candidates to a discussion on gender inequality in the job market. By presenting strategies for overcoming these equalities, we hope to give the winning candidates concrete steps which can be incorporated into government plans. In addition, we supported a large-scale event where young people had the chance to meet the candidates. The presidential candidates then signed an intergenerational pact to improve public policies around youth and their rights.